Last December I took the risky step of setting goals for 2016. So as that year ends and 2017 begins, it’s time to assess. How much of what I wanted to do did I actually accomplish? 1. The Cascade: As intended, I modified the plantings around The Cascade. I reduced the number of different types of plants, improved the drainage and the soil in the beds themselves. As a result, the plants flourished and I was content. But of course there are always reservations. The Weigela ‘Wine and Roses’ needs another year or so to grow to full height, and until it does, its dark foliage doesn’t adequately off-set the various shades of green. I also want more colour for longer periods of time, and that means adding a lushly flowering plant — perhaps some Nepeta ‘Walker’s Low’ to continue a theme set at The Aqueduct nearby. My big reservation about The Cascade, though, was the Persicaria microcephylla ‘Purple Fantasy.’ I really like the colouring on the foliage but by late August the plant was out of control. It had spread so vigorously that it was threatening everything around it. In September we dug out over half of what I had planted; nonetheless, in 2017, I need to keep it pruned back. Really pruned back! Is it possible for soil to be too rich? 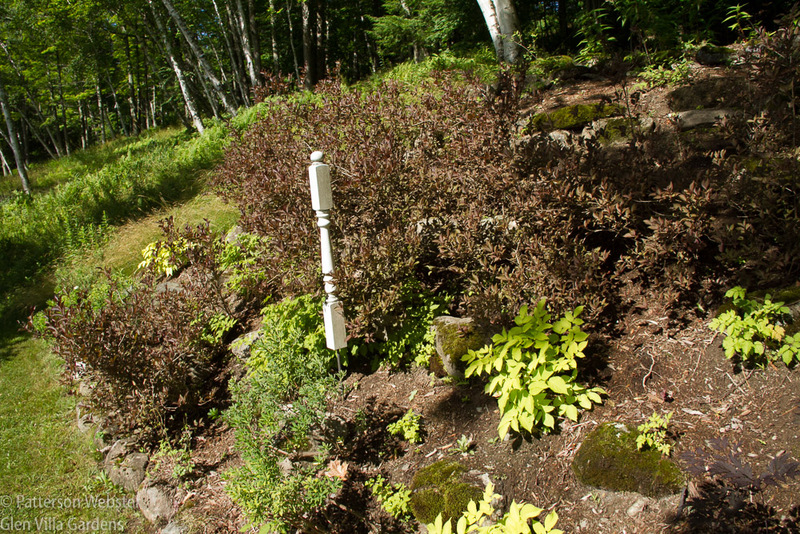 The Cascade was over-stuffed by the end of the summer, in part because of the Persicaria but also because everything except the shrubs grew more quickly than is normal for our climate. Weigela ‘Wine and Roses, the dark-leafed shrubs that barely show up here, will add more colour contrast in future years, when they are larger. 2. 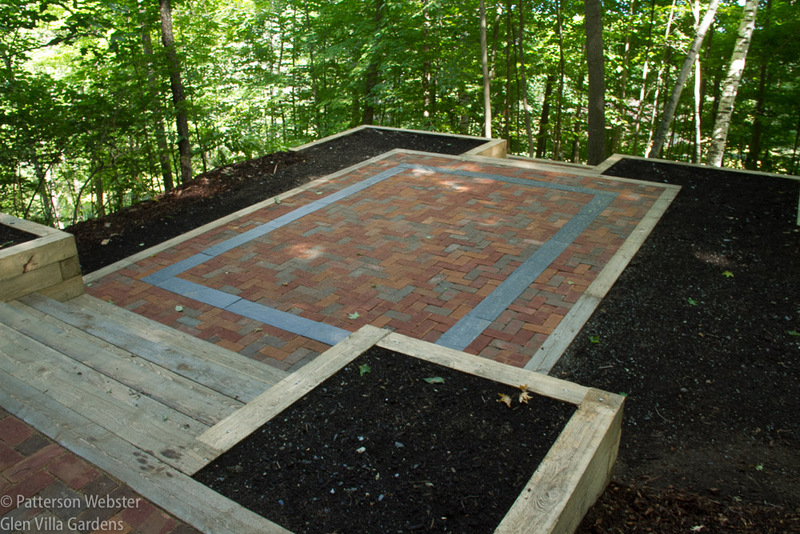 The Egg: This area, one of the first I designed at Glen Villa, was a tribute to my origins in Virginia. 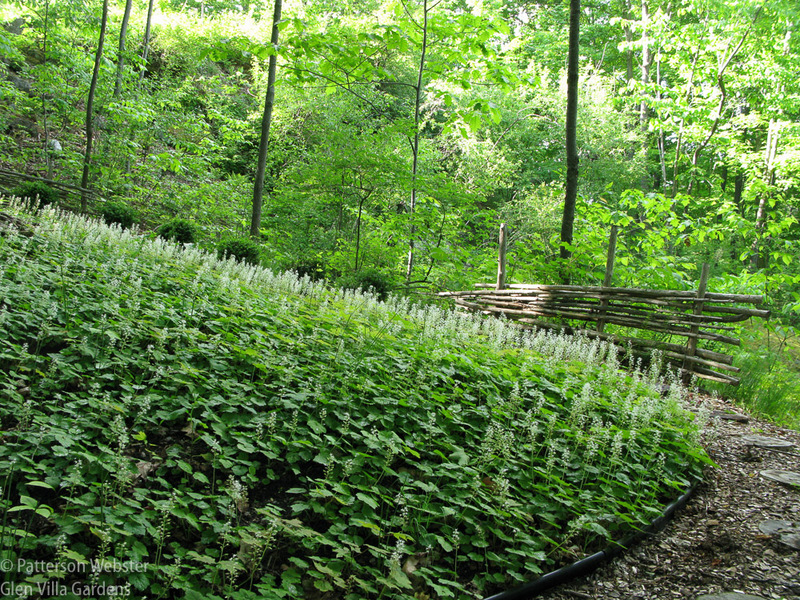 An oval space located midway up a wooded hillside was covered with small trees that were dead or dying, so in 2000 I cleared the area and filled it with tiarella that bloomed in late spring like beaten egg whites. Around the perimeter I planted boxwood, the quintessential Virginia plant, and enclosed the space with a wooden fence, like a wicker basket. This photo is from June 2009, when The Egg was frothy and fine. The boxwood are just visible above the white tiarella blossoms. For years The Egg did well but by 2012 it was looking tired. In 2013, 2014 and 2015 I planned to re-vamp the area; in 2016 work finally began. The Egg is now The Upper Room, or Le Cénacle in French. It remains a tribute to Virginia but more specifically it is now a memorial to my Mother, to her faith and love of family. The hardscaping was complete by mid July but the most important feature, five sandblasted glass panels, will not be installed until spring. A sneak peak at the hardscaping of The Upper Room. The name of this area relates to more than its setting midway up a hill. Does anyone catch the reference? 3. 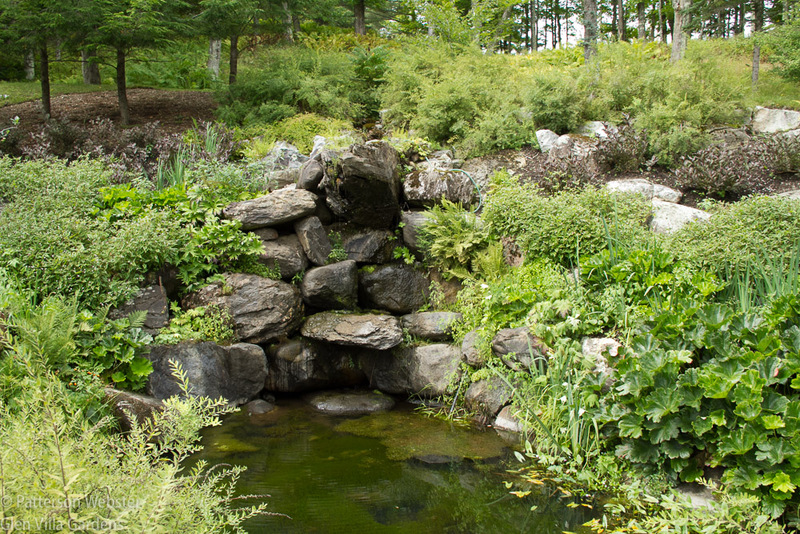 The Gravel Garden: My goal for 2016 was to evaluate the plants I had chosen for this area, to add some brown-toned gravel to blend more compatibly with the stone walls of the house and to define the edge more precisely. I didn’t add any brown-toned gravel — I looked for some but didn’t find any. Since half of the plants I used failed to make it through their first winter, evaluation turned into replacement. I added a poodle pine that I like very much and three gorgeous yuccas that were spectacular in bloom. Blue slate now edges and defines the space. 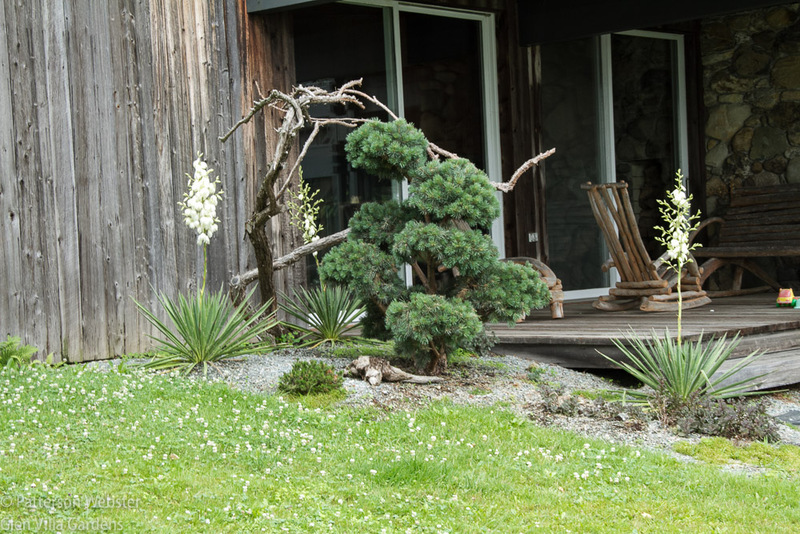 This photo was taken before the slate edging was installed but I chose it rather than a phone from later in the season because I wanted to show the yucca in bloom. My father called these flowers rock lilies. 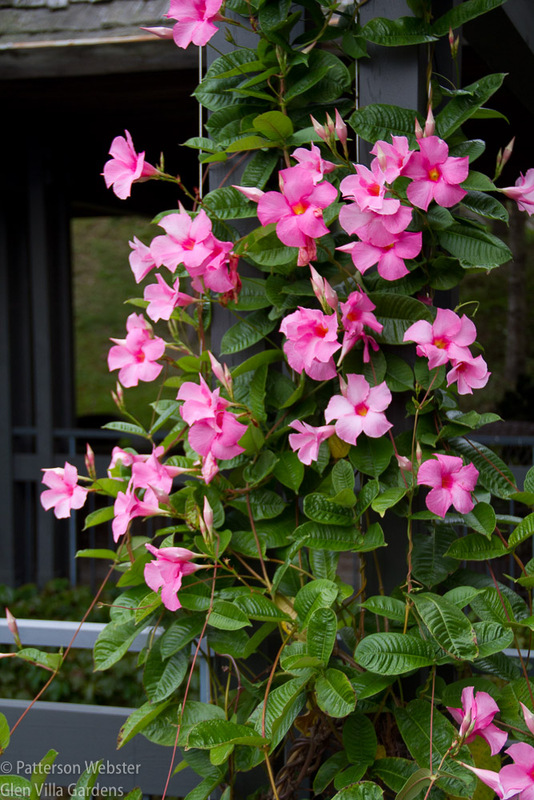 They grew at my grandparents’ farm in the Blue Ridge Mountains of Virginia so all the associations I have with these plants are good ones. 4. New Pots for the Deck: After simplifying the plants on the living room and dining room decks, I intended to replace the hodgepodge of pots for a more unified look. I thought about this, made some sketches but did nothing more. Will I do this in 2017? Somehow it seems less important now, but time will tell. Since I didn’t do anything about new pots, I shouldn’t have a photo to illustrate this goal. 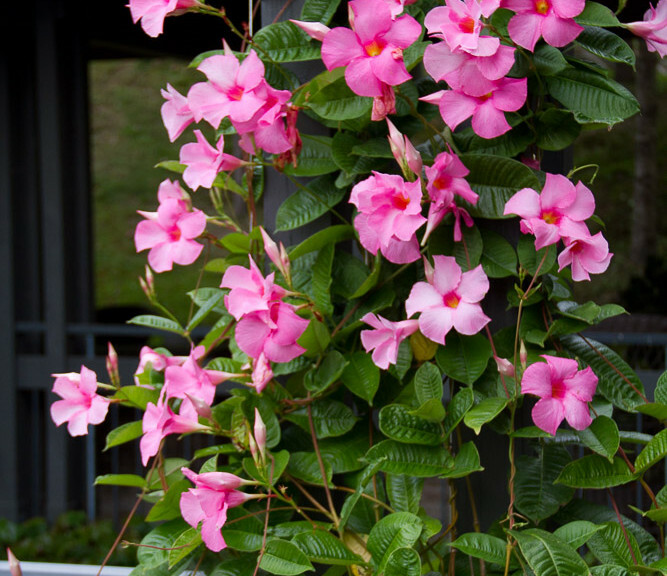 But I did use Mandeville vines on the living room deck, as I have for ten years or so. I over-winter the plants and they provide abundant blooms and colour, year after year. 5. A Fence for The China Terrace: The deer continued to wreck havoc on the shrubs at the entry to The China Terrace, which means that I didn’t manage to install a fence. I did investigate putting a fence around the whole property but the cost was prohibitive, and fencing only part of the property creates a different set of problems. In 2017 I’ll be looking for a new solution. Suggestions, anyone? I may use white posts to fence this area. Or I may not. I really don’t have any idea what I’ll do! 6. 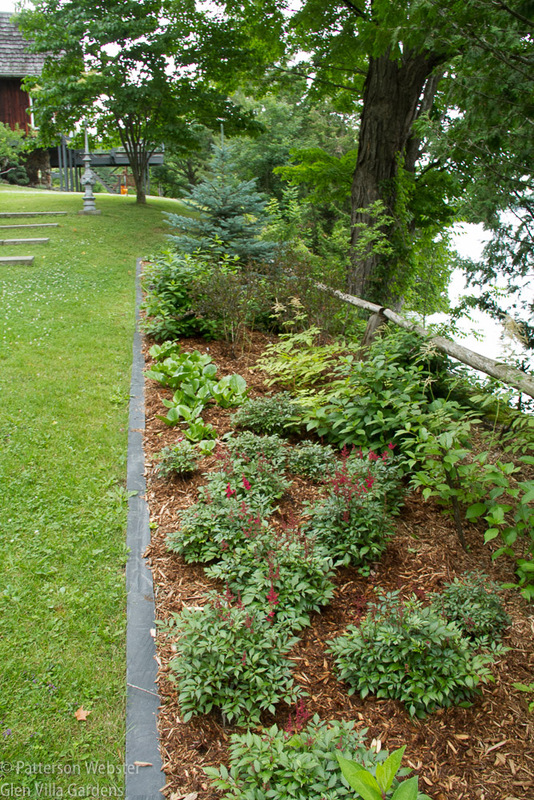 The Lower Garden: As planned, I spruced up the planting in the beds along the lake, replacing some old hydrangeas with newer varieties that provide earlier and longer bloom. Unfortunately the deer found these new shrubs quite tasty so the results were not as good as I anticipated. The hydrangeas were babies when I took this photo, as were the Astilbe ‘Fanal’ just starting to bloom. The deer discovered the hydrangeas about a week later. 7. The Upper Field: The plan to enlarge the variety of wildflowers in the Upper Field went nowhere. 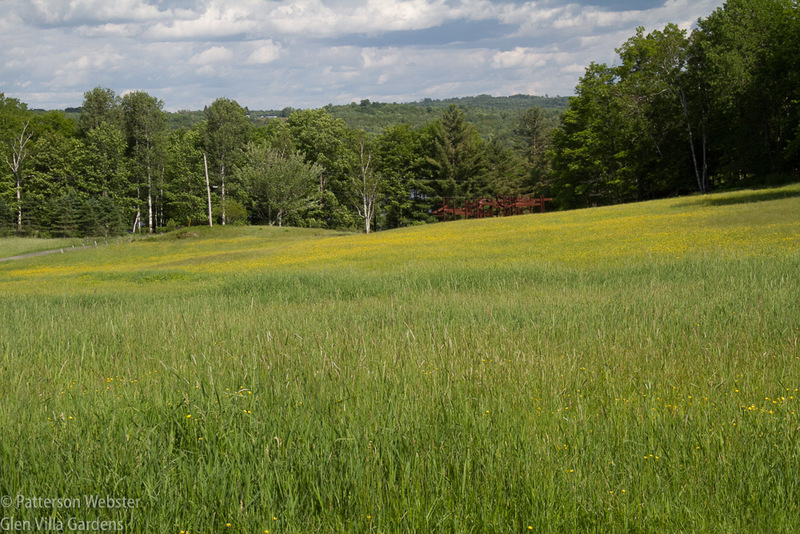 I did focus on converting the Big Lawn to the Big Meadow (see below), but since this was a separate goal, I can’t award myself any marks for this goal. This photo illustrates quite nicely how effective a single colour can be. It also shows how easily the effect could be extended throughout the summer with the addition of other wildflowers, regardless of their colour. To get the full story on this quotation and why it seemed like a perfect gift for my husband on our 50th wedding anniversary, you can read this post. Continuing to work on Orin’s Sugarcamp was the second art-related goal I set for myself. 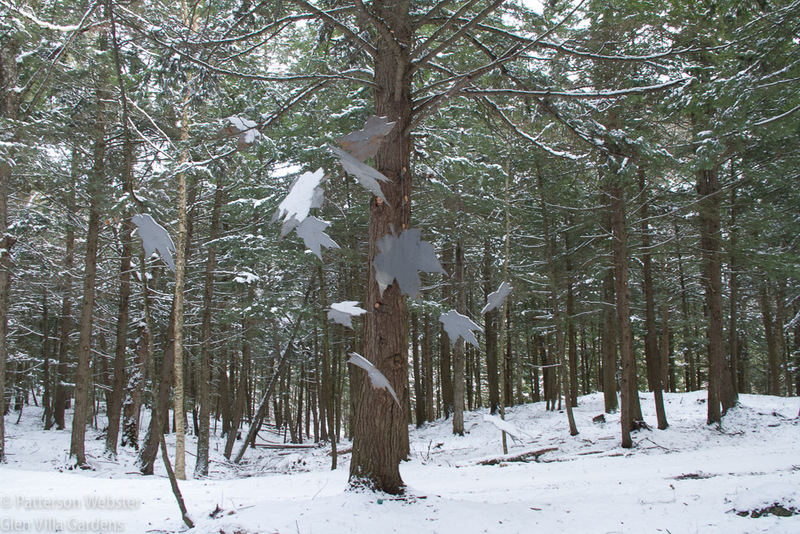 This installation in the woods is progressing very well and is now almost complete. You can read the story of this project in two recent posts, here and here. 9. The Big Lawn: The process of transforming the Big Lawn into the Big Meadow that began in 2016 was a huge success. The Canada geese stayed away.The grass grew and looked wonderfully shaggy. We seeded selected areas with a variety of wildflowers. Altogether, this first experimental year could not have been better. 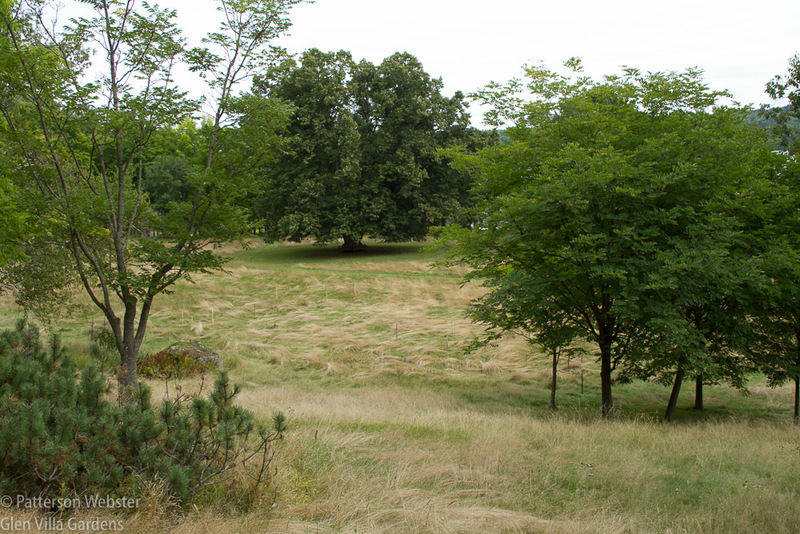 A sea of grass — the phrase may be a cliché but it aptly describes the Big Meadow in August. 10. 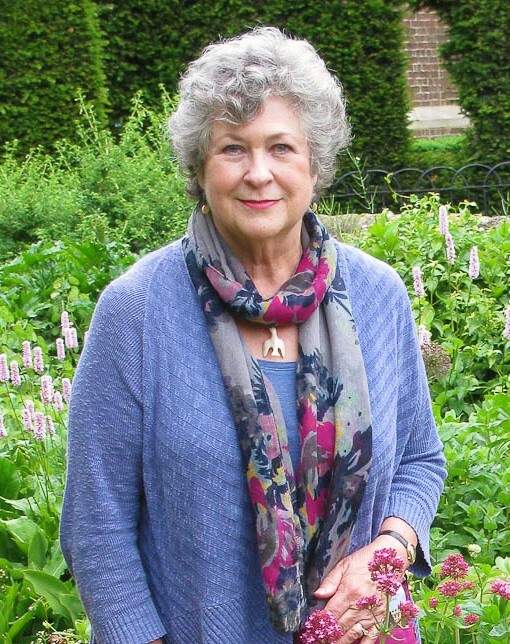 Garden Visits: As planned, I hosted two garden tours in 2016, to the south of England in May and to Scotland and the north of England in September, and both were immensely enjoyable. When I add in the gardens I saw before or after the tours, I come up with a eye-popping number for the year — about 50 British gardens, all of which were inspirational in one way or another. And this doesn’t include the gardens seen at the Chelsea Flower Show! 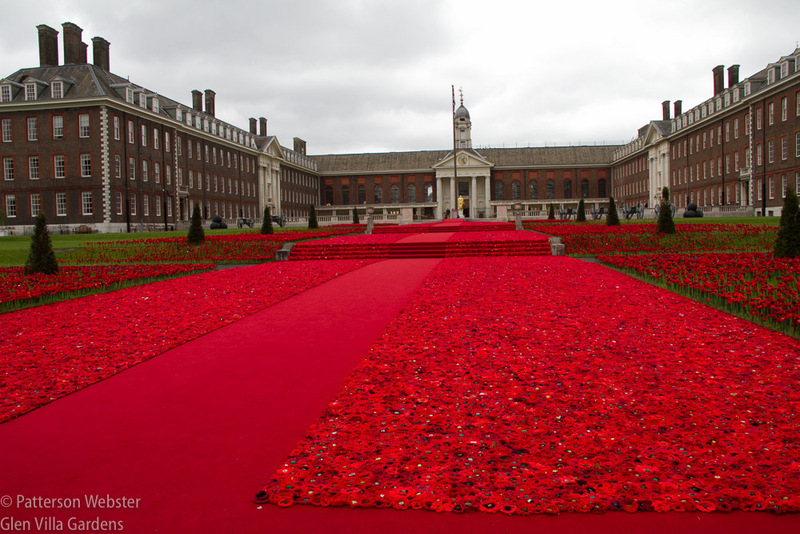 This carpet of hand-made poppies was a tribute to members of the Armed Forces, particularly those who served in WWI. In the background is the Royal Hospital Chelsea, where the pensioners, or veterans live. The idea for this project originated in Melbourne, Australia, to mark Anzac Day. The display was one of the finest things I saw at the Chelsea Flower Show this year. Certainly it was the most touching. In March I twice visited Magnolia Plantation in Charleston, South Carolina. In June I saw several private gardens in Vermont and in September I explored the Sun Yat-Sen Garden in Vancouver. I didn’t make it to the Reford Gardens in Métis, Québec as I hoped to do but perhaps I’ll get there in 2017. 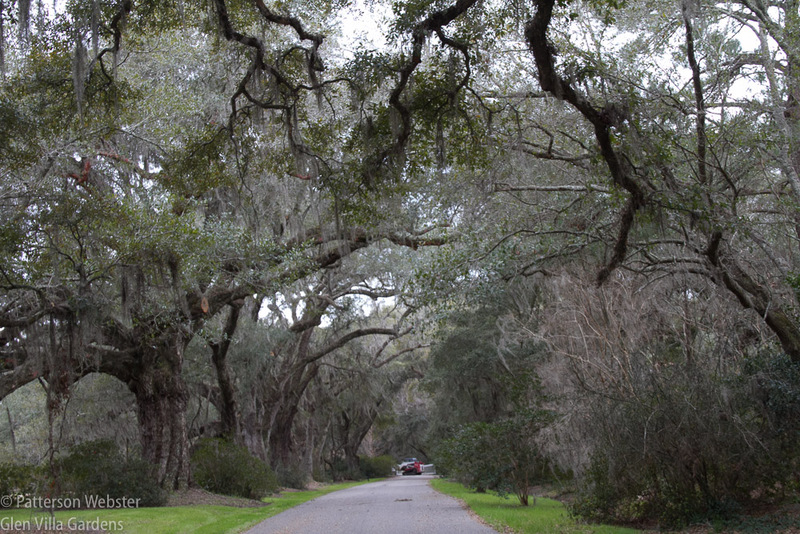 What could be better than an avenue of live oaks to illustrate a southern plantation? The big garden visit, though, was one that I hadn’t anticipated. 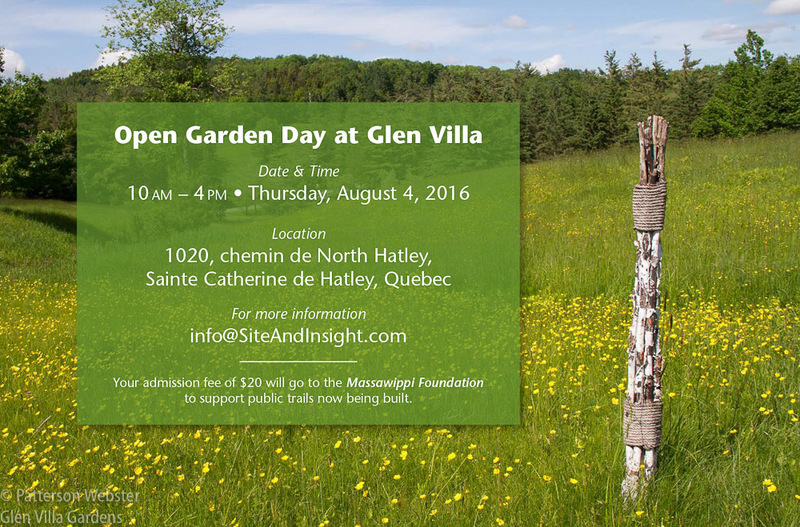 Our Open Garden Day in August attracted over 300 people. I consider this a huge success since it was the first year we’ve done this. In addition, five groups came to visit Glen Villa. Since I’m charging admission now, all these visits resulted in a substantial donation to our local land conservation association, the Massawippi Conservation Trust. Reviewing the year in conjunction with the goals I set for myself makes me realize how useful goal setting can be — and how fruitless it is to give each goal a score. While I didn’t do everything I hoped to do, for the most part I focused on the areas I had identified and overall I believe that the year was a success. Yet my own scoring gave me a failing mark of 60%. Am I being too hard on myself? I fell far short of 100% on most of my goals, but how do I score the things I did that weren’t on my list to start with? Some of 2016’s unplanned projects were the most successful. Certainly they please me enormously. And in retrospect, the unplanned activities seem at least as important as the goals I set, possibly more. Does that mean that setting goals isn’t useful after all? What do you think? Are garden goals as useful as New Year’s Resolutions, as quickly written and as quickly forgotten? Or do they guide us through the year? I too make garden goals — in fact, I jotted down a list just yesterday — but I don’t score them. In fact, I often lose track of my list halfway through the year. But that’s OK. 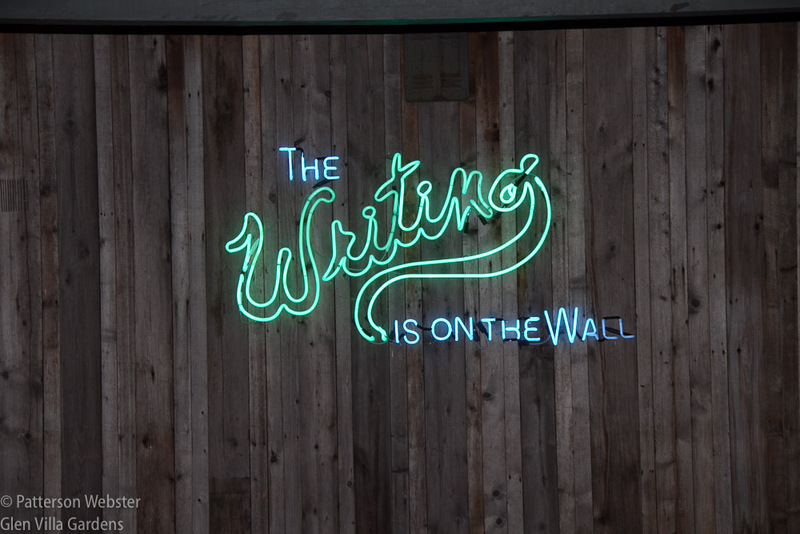 The process of making a list is part of the creative process. It jumpstarts new visions for the garden. Yet slow progress is OK by me. I have never scored myself before, Pam, and I’m confident that I won’t do it again — far too subjective and discouraging! I agree, the process of making lists is part of the creative process. And it definitely helps to keep me on track. My maternal grandmother, from Bowling Green KY, always had the latest copy of the devotional,The Upper Room, on her bedside table. So did my Mother, Linda. I remember it well. Happy New Year to you and your family. Goals are great and a big thumbs up! Three hundred visitors to the garden show, impressive! All the best for 2017! Thanks, Robert. Let’s hope 2017 brings lots of good things for us all. I tend to write down the pieces that tend to go into achieving the goal I have in mind (eg, plant more oriental lilies), but the goal itself stays in my head. I like the idea of writing down goals, not just tasks. However, I would say that your are a tough marker! And yes, it is possible for soil to be too rich, resulting in plants becoming overgrown and often floppy. I’m told teachers can’t fail people anymore — so it’s a good thing I’m not one! I think I’m easier on others than on myself, though. It sounds like we have much in common, Suzanne (and we old married folks have to stick together!). Like you, I rarely consult my list of goals throughout the year, but find that writing them down makes them feel more solid. I like looking back at them and comparing what I hoped to do with what I actually did. Sometimes I’m amazed at how much I managed to do, other years its the reverse. I hope you continue to enjoy the blog.